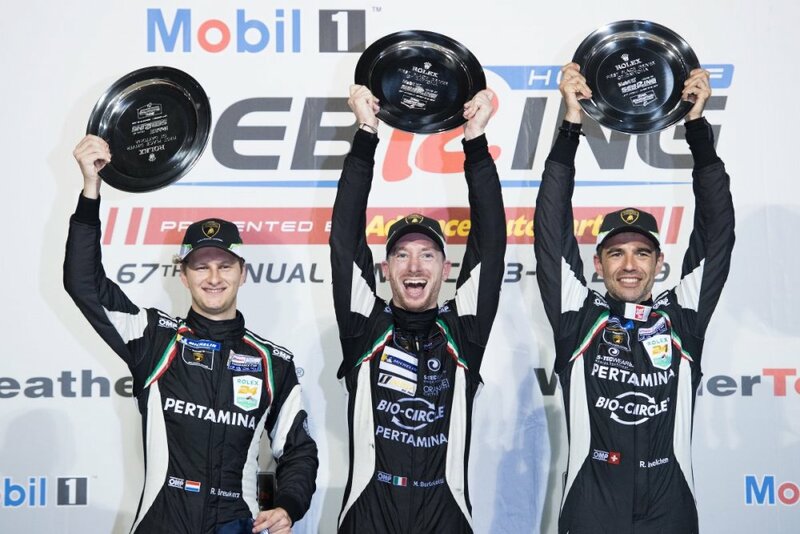 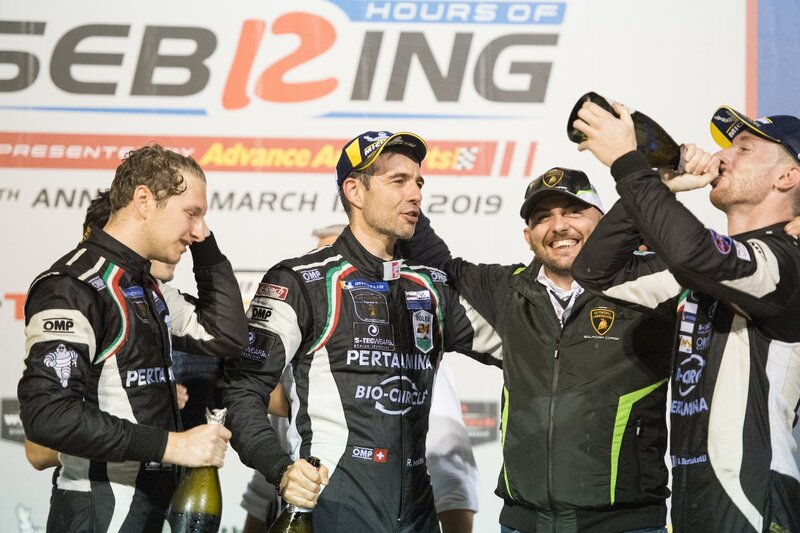 It was a battle of strategy, perfection, mixed with good fortune and fuel strategy that brought the #11 Grasser Racing Team its latest victory at the Mobil 1 Twelve Hours of Sebring. The GRT GT3 Huracán gave both the Italian automotive manufacturer and Austrian team the unofficial “36 Hours of Florida” honors with its successive victories at the Daytona 24 Hours and again in Sebring for the GTD class. 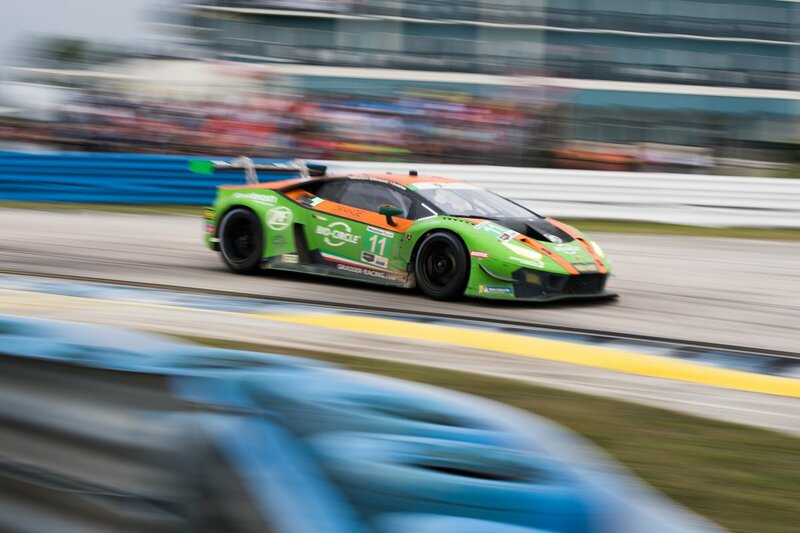 Driver Mirko Bortolotti, with teammates Rolf Ineichen and Rik Breukers piloted through the checkered flag in P1 ahead of competitor Magnus Racing’s Huracán. 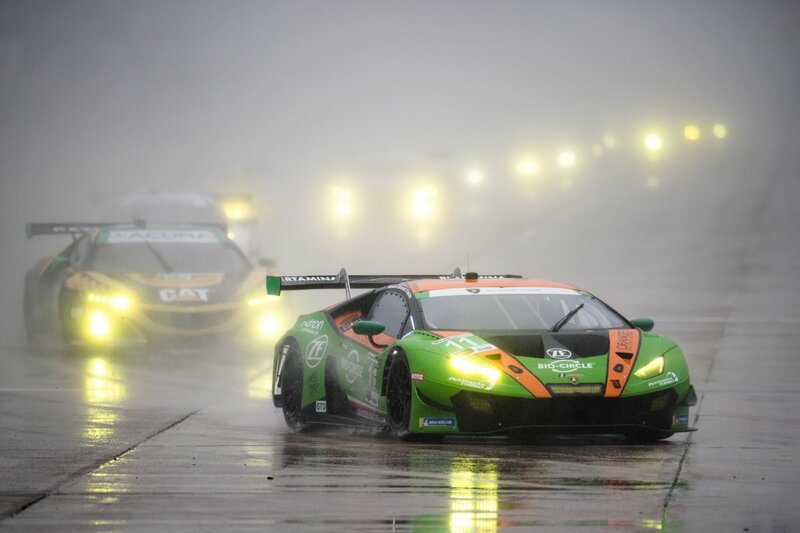 It was a 1-2 win for Lamborghini as the GT3 Huracán proves to be a venerable competitor. 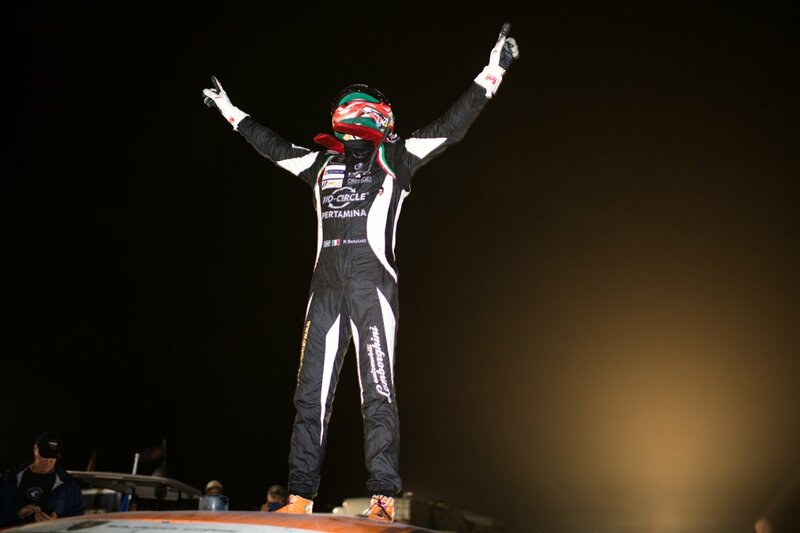 With less than two hours, Bortolotti climbed from fifth to the first position staving off a last-ditch effort by Andy Lally of Magnus Racing who would finish in second with his teammates Spencer Pumplley and John Potter. 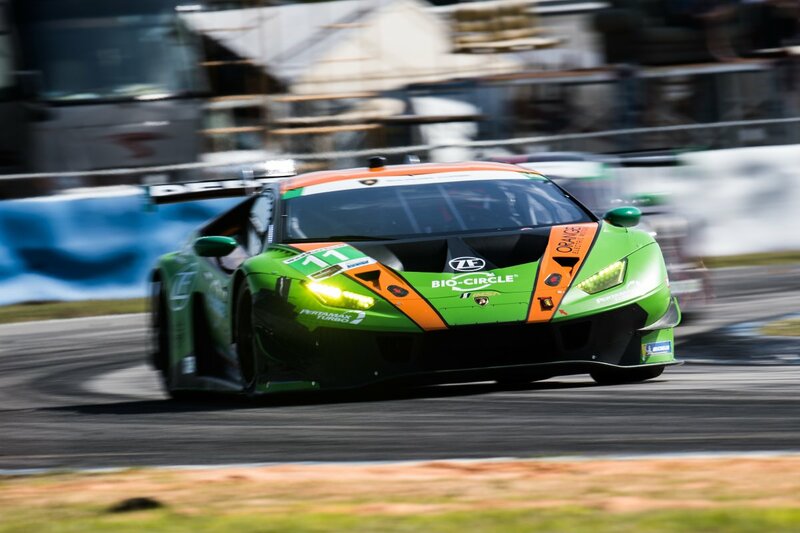 A late-in-the-race yellow condition inadvertently allowed the Grasser team to conserve much-needed fuel for the last of the race.